Podcast: “Free Range Learning in the Digital Age"
We interview Dr. Peter Smith, author of Free Range Learning in the Digital Age. Peter writes of “hidden credentials” that adults in the US have: life experiences and informal education that represent serious skills and competencies that are often unrecognized. “Free Range Learning” provides options and insights for adults who may want to turn hidden credentials into academic credit and opportunity. Further, we discuss how open learning has become thanks to technology. *Listening to our customers is at the core of our product innovation. If you have a suggestion for how Credly can work better for you, tell us more at info@credly.com. Susan Manning: Welcome to the Credly podcast, where we touch base with our issuers, earners and partners and explore themes of interest in digital credentialing. I'm Susan Manning. 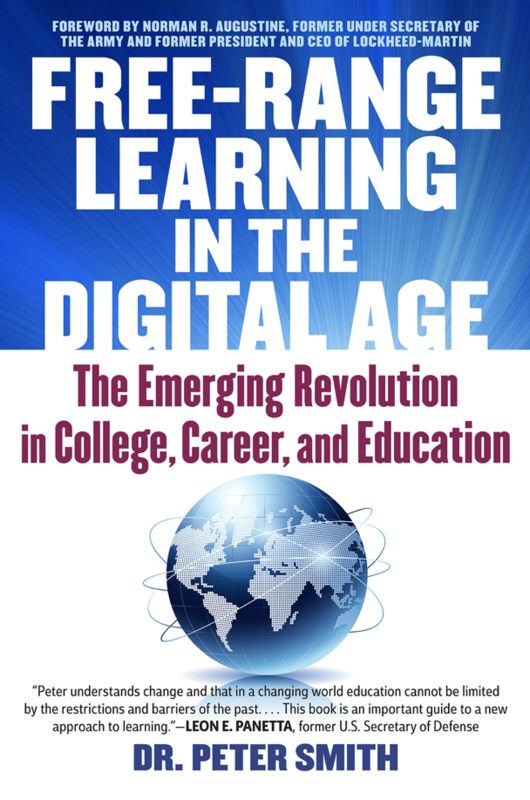 Today I'm talking with Dr. Peter Smith, author of Free-Range Learning in the Digital Age. Peter is also professor of innovative practices in higher education for the University of Maryland, University College. Welcome Peter. Peter Smith: Well, thank you so much. I'm glad to be with you. Susan Manning: This is the first time we've had an author on a podcast, but the topic of your book coincides so nicely with the work that we do at Credly helping people surface and recognize skill, so do you want to give us a little synopsis of Free-Range Learning? Peter Smith: Sure. In a nutshell, and I've been at this sort of trying to understand the learning that people do outside of school since 1970, 71, when I was the founding president of what is now the Community College of Vermont. We started with Head Start mothers and they knew a whole lot of stuff, some of which they had learned in classes, other of which they had read, but they didn't have any academic credit. From that very sort of basic beginning, I've spent the last 50 years trying to understand ever more clearly the power and the importance of what I now call personal learning, which is all the learning that you do but with a focus on the learning that you do outside of school. I was one of the founders of CAEL back in '72, '73, and we were thinking about how do you assess experiential learning at that point. I've been at it for, God forbid, almost 50 years. What I have come to understand is that we are, what do we know from Allen Tough's research, that fully, at least 60% or more of what you actually know you learn outside of school. We know that the average person engages in about 12 or 13 learning projects a year. A learning project is purposeful and could be planned by an employer or whatever, but it's serious, purposeful, has a beginning, has an end and we know, because the average project lasts something like 25 or 30 hours, so people spend a lot of time in [inaudible 00:02:35] learning outside of school. That's like 700 hours on average, some less, some more. So I've become very interested in the implications of leaving that learning unrecognized for academic recognition or employer recognition, especially given the problems we have with the American workforce now in which we're looking for talent and having a hard time finding it and lots of jobs are going unfilled. I think, as I looked at the technological enhancements that have come to the surface in the last 10 years, hence the notion that free-range learning in the digital age is meant to capture the notion that you can now, within reason, with some exceptions, you can now learn almost anything anytime, anywhere with great content and the point is not that everyone's going to go out and become a free-range learner, but that the whole notion of what opportunity looks like and accessibility looks like has been turned on its head by technology. Now, it may be more important for colleges and groups like Credly to help people think about the learning they're doing and help them learn more as opposed to saying, "Come to my place. Take the courses I tell you you need, get the degree I tell you you need." I think those days are going to be part of a larger context which is going to be much more flexible and highly personalized. Susan Manning: The book is not written for academics. It's written for people who might want to go out there and leverage what you call hidden credentials. How did you come up with that hidden credentials term? Peter Smith: Well, it came to me at some point. I wish I had a profound answer for you. The idea ... You know, I used the scarecrow in The Wizard of Oz as the sort of semi-humorous metaphor, but there are people walking around with knowledge, skills and abilities that they don't have the public or the observed credential to make good on those things and it makes life much more complicated for them. So I wanted to find a phrase that reflected the fact you have the credential, you know, and I came up this time around with knowledge discrimination, that what you know is less important that where you learned it. So where you learn something, to put it the other way, is more important than how well you know something and what you can do with it. Those two things go together sort of like opposite sides of the same coin in describing this bizarre irony of talent that is unrecognized and, in many cases, unutilized. 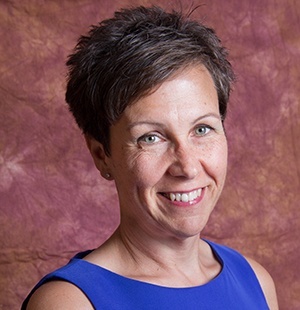 Susan Manning: With the idea of prior learning assessment or CAEL and experiential learning, what do you think is holding us back in that area? Peter Smith: I think it is tradition and customary practice and the traditional understanding of how a university operates. I think that is all changing, as I write in the book, changing dramatically, but the change is coming from off-campus in most cases because the drivers of this technological, what I call technologically enhanced learning, the drivers are not controlled by universities and colleges. They're in the general society. So where 15 or 20 years ago, even, or farther back for sure, you had an information-poor society, like a desert of information, with these oases called universities where you gathered resources, think libraries, laboratories, knowledgeable professors, et cetera, because that was the best way that you could access. But those guys made the rules. They could tell you entry requirements, course requirements, sequence of courses. They controlled that world and you either made it in that world or didn't. Today, I think that information-poor desert, if you will, has gone green and the oasis is no longer distinguishable. Now, there are exceptions to that, of course, but that the oasis is no longer distinguishable, generally, and what we're now in is a world where creating pathways, helping people understand where they want to go, how to get there and then what is the appropriate role for higher education in that, or a group like Credly in that? I think there are roles for both, but in it all, the recognition and validation of learning you have done outside of school and experientially is going to become more and more important because we know how to do it at scale now because of the technological enhancements. There's no reason not to do it because we know it works, we know it's valuable and now with technology, we go from it being a boutique operation, where you're doing everything by hand with Xerox machines and photocopiers, to now where you can do it electronically using advanced data processing. Susan Manning: I think one of the other interesting observations, having come from traditional higher education, is that technology has really shifted our pedagogy also and the better schools are doing a better job of surfacing and really articulating the competencies that a student has at the end of that experience, at the end of that course, which means the pedagogy has to get the student there. Susan Manning: No longer sufficient to just go in and lecture for an hour and give a test. Peter Smith: That's right. I would even add to that to say I still think we've got a long ways to go because many colleges are not doing what you're saying, but they will as time goes by. I also think what I've come to see in these interviews for this book and it's, as you know, the first half of the book is very personal. It's street-level stories, as you said, not written for policy makers, although policy makers love it and practitioners love it, but I wanted to show the world through the eyes of these learners. I think to that extent I succeeded, frankly, beyond my hopes. The whole notion of the impact of their experiential learning on them and what we found is again and again, Allen Tough's research initially showed this, people forget what they learn informally. Frankly, we forget a lot of what we learn in school. But when you sit down with them and help them harvest that, put it in electronic portfolio, et cetera, it comes back. They are, in fact, reflecting on the learning they've done in the past or in the immediate past and in the present. I now see a role for colleges as they construct more project-based learning where the actual assessment of the learning at the end of, during the course and at the end, is a pedagogy in its own right. You are helping people understand, by the questions you ask, not just how well can you remember this, but how did you apply it? What did it mean? How has it affected you? Your notion about it changing pedagogy is absolutely right as far as I'm concerned, but I would take it even further to say that I think assessment of learning, present or past, is going to become a pedagogy in its own right. Susan Manning: I'm with you 100% on that. In fact, if any of my former students are listening to you they're probably thinking, "She asked him to say that," because I always said a good assessment is an opportunity to learn, and a good learning experience can usually be assessed if done well. Peter Smith: Yep. That's right. Susan Manning: So I'm loving this conversation and I want to thank you for joining me today to kind of unpack the book. I hope that our listeners will pick up a copy. It's a really enjoyable read and it's inspiring. So thank you so much. Peter Smith: Well, thank you very much. I appreciate the chance to speak with you, Susan, and through you to a lot of your Credly family. Susan Manning: Thank you, listeners, for joining us. If you'd like to suggest upcoming topics, feel free to write us at info@credly.com.